Last night was the first night of Hanukkah. 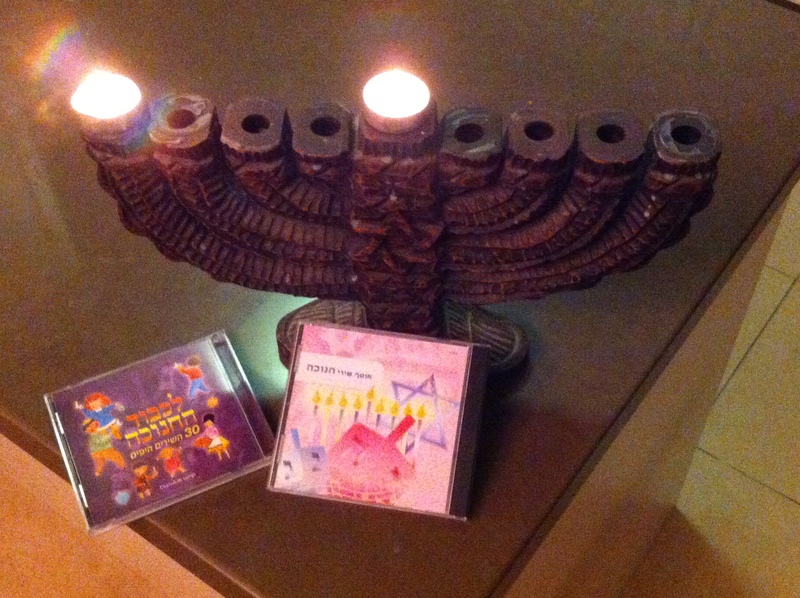 It was a beautiful evening and we enjoyed some new Hanukkah CDs. Alexander the Great was a Greek king who ruled over Syria, Egypt and Israel in the 4th century BC and got along with the Jewish people. However, Alexander died in 320 BC and his kingdom was divided among several generals. Seleucus took control of Syria and Israel. He and the rulers after him forced the Hellenistic (Greek) way of life upon those they ruled, including many pagan practices. The story of Hanukkah is not found in the Bible. It is found in the Book of Maccabees, which is one of the books of the Apocrypha. However, we know that Yeshua went to the Temple during Hanukkah. In John chapter 10 it says so! The miracle of the oil burning in the Temple for 8 days, when there was only enough for one day, is not found in the Apocrypha. That account is found in the Talmud. We always talk about the miracle of the oil during Hanukkah, but we must also remember the miraculous victory G-d gave to the Jewish people over the pagan Greeks. 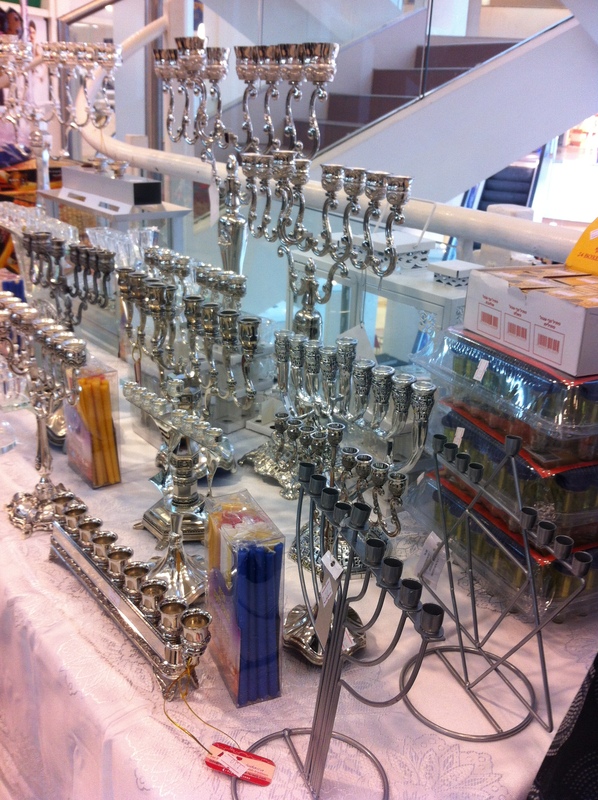 Hanukkiah display at a mall. Whereas the candelabrum used in the Temple was seven-branched, the Hanukkiah has 9 branches, 8 for the 8 nights of Hanukkah and the 9th is the “helper” candle, which is used to light the proper number of candles each night. There are many different styles and designs. Whether it uses candles or oil does not matter. However, an electric one is not kosher to use. Hanukkah begins at sundown, December 17, this year. Maybe you have never celebrated Hanukkah. Did you know that it is mentioned in the Bible? Yes! John 10:22. Yeshua went up to Jerusalem for the Feast of Dedication. “Dedication” in Hebrew is Hanukkah! You have a week still until the holiday begins. Maybe this would be your opportunity to go get a little hanukkiah and some candles to celebrate with all the Jews around the world. What is so nice about Biblical Holidays is that we can be drawn closer to the L-rd through them, rather than being drawn away from Him by the chaos and lack of unity in them. 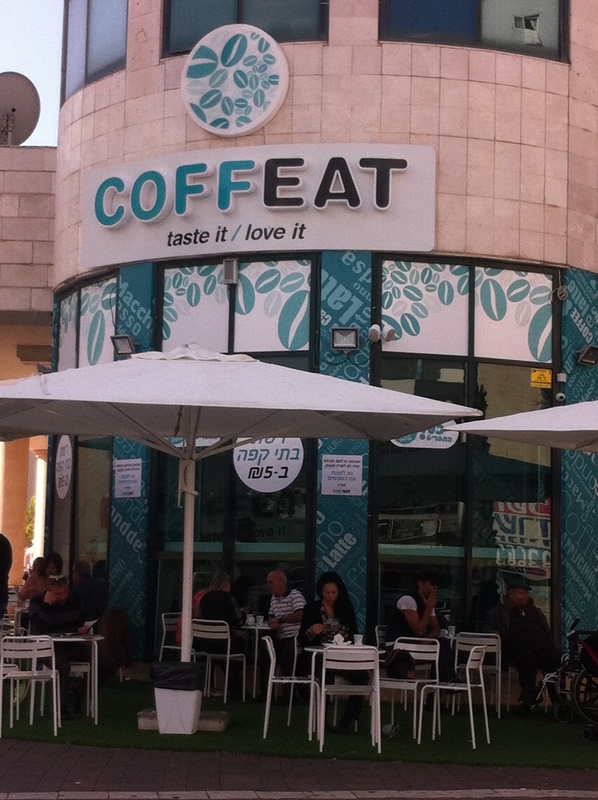 One of the new fads in Israel is the 5 shekel coffee shop. 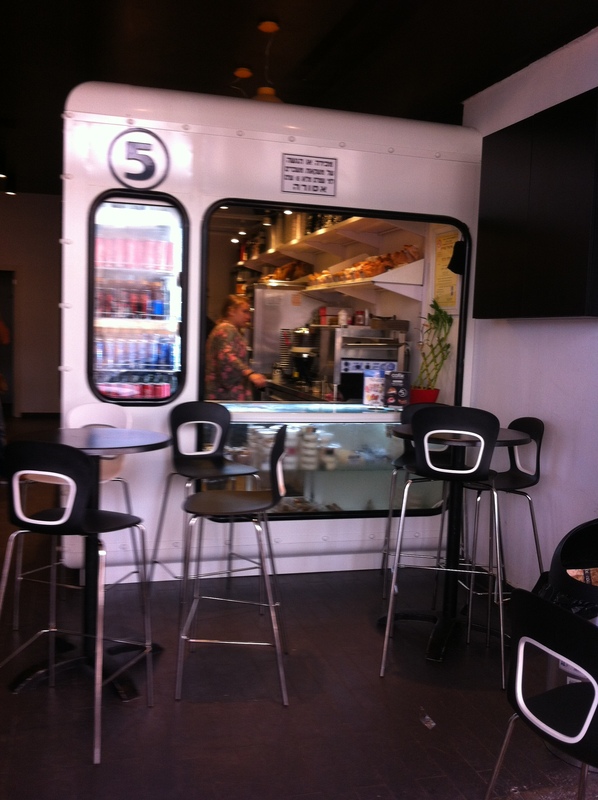 All drinks and food items are 5 shekels each. On one street alone, we had 3 pop up in the past few weeks. The one on the left is Coffix and the one on the right is Coffeat. The have coffee, soft drinks, different baked goods and right now they have little donuts too:) Today on my walk I noticed that both of them were packed and they had lots of tables outside. We were blessed with a few days of rain the end of last week and now we have sunny days with highs around 70 degrees.